With no previous investment cycle to speak of, the Philippines’ first boom is being portended by increased interest in the country’s public-private-partnership (PPP) programme, Christoper Wood, an equity strategist for Hong Kong brokerage and investment firm Credit Lyonnais Securities Asia told Rappler, a local online media group. 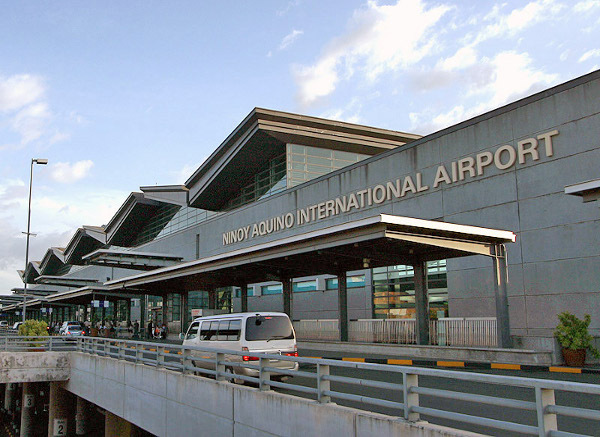 Supported by sound macroeconomic fundamentals, the Philippines has experienced increased participation by foreigners in the stock market, as well as investment into big-ticket infrastructure, with the operators of Singapore’s Changi Airport and South Korea’s Incheon International Airport expected to make bids in the Mactan-Cebu International Airport. On April 15, San Miguel Corporation won the third PPP project issued by the Aquino administration to build a $388-million expressway connecting Metro Manila’s up-and-coming gaming city with the Ninoy International Airport terminals. San Miguel’s top man Ramon Ang put down an overwhelming upfront payment of $266 million for the project through its subsidiary Optimal Infrastructure Development Corporation, dwarfing the $7 million bid made by the Manila North Tollways Corporation. The other two projects that have been award from the Aquino administration’s eight priority infrastructure projects, identified to boost growth by 7 per cent, are the $46.6 million Daang Hari-SLEX Link Road Project, awarded to Ayala Corporation in 2011, and the $389 million School Infrastructure Project Phase 1, awarded to a consortium of Citicore Holdings Investment-Megawide Construction Corporation and BF-Riverbanks Development Corporation in 2012. Beyond local investors, who can make bids with their foreign counterparts or partners, Cosette Canilao, executive director of PPP Center, believes that institutional investors can also benefit in the Philippines, noting the country’s recent investment credit rating upgrade. “Institutional investors are ideal financing partners for infrastructure projects because returns and duration expectations typically match the opportunities provided by these projects,” she told Malaya Business. Bidding for the following projects are ongoing: the $1.38 billion LRT Line 1 Cavite Extension, $132.56 million Modernization of the Philippine Orthopedic Center, $26.86 million Rehabilitation and O&M of Angat Hydroelectric Power Plant Auxiliary Turbines 4 and 5, $312.86 million PPP for School infrastructure Project Phase 2, $41.86 million Automatic Fare Collection System (AFCS) and the $239 million Mactan-Cebu International Airport Passenger Terminal Building, which had to extend its deadline due to overwhelming interest. The AFCS project has received interest from nine parties, including consortiums led by San Miguel, SM Corporation and AF. Investors remain concerned about the sluggishness of rolling out the PPP projects, but Canilao reassures that there is reason. “We want to make sure that we have a PPP program that is healthy and transparent,” she said. This caution is undoubtedly held up by the ongoing claims made by Fraport AG, the operator of German’s largest airport in Frankfurt, for compensation from a soured PPP deal in the early 1990s. Fraport AG won the bid to construct NAIA’s Terminal 3, but was soon caught in a cobweb of domestic political and business rivalries, ultimately losing its investment of $400 million. In November 2011, it is estimated that Fraport AG claimed between $425 million and $800 million from the Philippine government, now pending before the World Bank’s International Center for the Settlement of Investment Disputes. “We are aware that mistakes were made before with the T3 concession at Ninoy Aquino, which without doubt, damaged the reputation of the Philippines for international investors. However, we have learnt from the experience, which is why we have set up the Public-Private Partnership Center to assist in the preparation of projects,” Canilao told Airport World. “We now have a clear strategy. We know what the government wants and obligations it expects from the private sector. We are also developing clear exit strategies so that the mistakes of the past cannot be repeated,” Canilao said, pointing to the evidence of the programmes success by the amount of investors now lining up. Major road projects include the $618 million NLEX-SLEX connector road and the $861 million Cavite-Laguna Expressway (CALAX). The agriculture sector has also been identified for possible PPP projects, but furthers studies are needed to weigh fiscal benefits and liabilities.